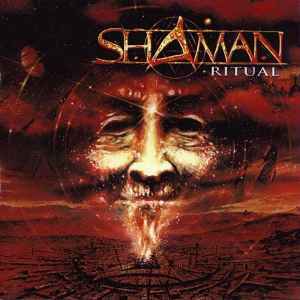 Formed by former Angra frontman Andre Matos, Shaman is another one of those typical power/progressive metal bands that are pretty unknown and only have small, cult followings to go by. I’d seen ‘Ritual’, their 2002 debut album, pop up on a number of websites such as Amazon and eBay, where it was being compared to prog metal pioneers Dream Theater, and while I was never under any illusion that they were as good or prominent, it just seemed like they were a bit of a cult band that had something special to offer. Unfortunately they’re not really anything out of the ordinary when it comes to this kind of music. That’s not to say they’re bad, in fact, ‘Ritual’ took quite a few listens to get used to, but it’s actually a pretty decent album. It’s not overly “progressive”, but is definitely a typical power metal record with fast, upbeat songs (with an almost “happy vibe”), incredible musicianship, and in fairness, Matos vocals are damn impressive too. The tracks are all well produced, and with solid songwriting that takes influences from Brazilian music, it’s an interesting enough debut, if not generic, but still pretty good none-the-less. Tracks like ‘For Tomorrow’, ‘Distant Thunder’, ‘Time Will Come’, ‘Here I Am’ and the title track are all pretty good songs that are definitely worth a listen if you’re into this kind of thing. While most of them employ the usual traits of the genre, there are a few moments that do make Shaman stand out. ‘For Tomorrow’ has a very nice, tribal sound, with some interesting vocals and guitar work, while ‘Time Will Come’ has some very tasty, speed metal-inspired riffs. Shaman aren’t anything particularly unique or innovative, and while it took a fair amount of time to get into, I’m glad I stuck it out, because ‘Ritual’ is a pretty solid debut that shows a band that certainly has potential to improve.